With our colorful and compact Pocket Kite, you'll be prepared to soar whenever the mood (or windy weather!) hits you. 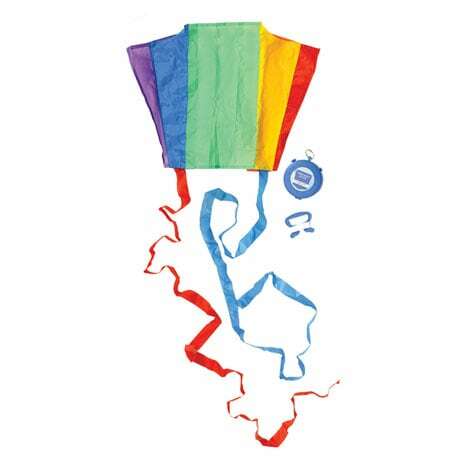 Just pop open the superportable 3½"x1½" container, unfold the rainbow-colored 16"x12" rip-stop nylon kite (no dowels needed! ), attach it to the included string and reel, and fly, fly, fly! When you're done, toss the container in your tote or attach it to your key ring so you're ready to go wherever the wind takes you!